The secret spoiler of habitat restoration projects on slopes has always been hydrostatic pressure. This mysterious term is brought to light in this monograph. In the spring of 2016, Puget Sound juvenile salmon and sculpin were found to be on drugs - that is, the flesh of these fish was found to be contaminated with 81 different types of drugs and personal care chemicals. The list included Prozac, Advil, Benadryl, Lipitor and cocaine. The discovery was alarming and led to a slew of investigative reports on the reason behind the fish contamination. Several different possible explanations for the fish contamination were presented - was there a failure in wastewater treatment plants? Were septic tanks leaking? It was found that about 97,000 pounds of chemicals are introduced to Puget Sound every year, and not all these chemicals are monitored in wastewater treatment. 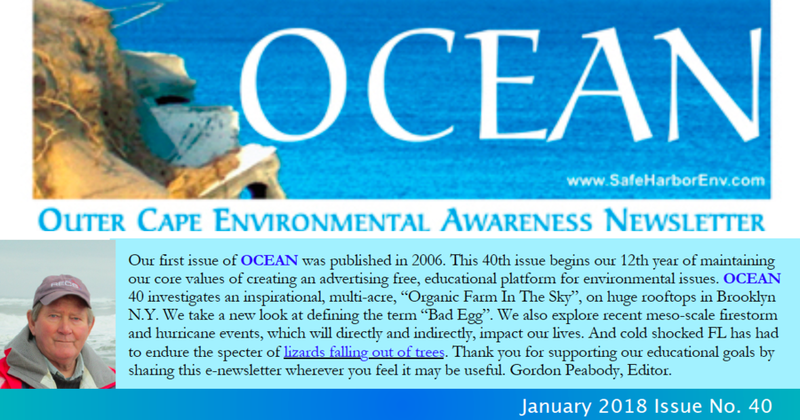 Even more concerning is that fact that the toxicity of many of the detected chemicals are poorly understood. Scientists in the region were most concerned with the environmental and ecological impacts of the contamination. Impacts on people were a minimal concern because juvenile salmon and sculpin are not typically eaten as food. However, studies have shown that fish migrating through Puget Sound’s contaminated water die at twice the rate of fish migrating through uncontaminated water. This could be because of the effects of chemicals on fish growth, immune function and antibiotic resistance. It is important to note that Puget Sound is home to 106 public wastewater treatment plants, all of which discharge to the Sound. Reports show that effluent from different wastewater treatment displays regional differences in the chemicals present. 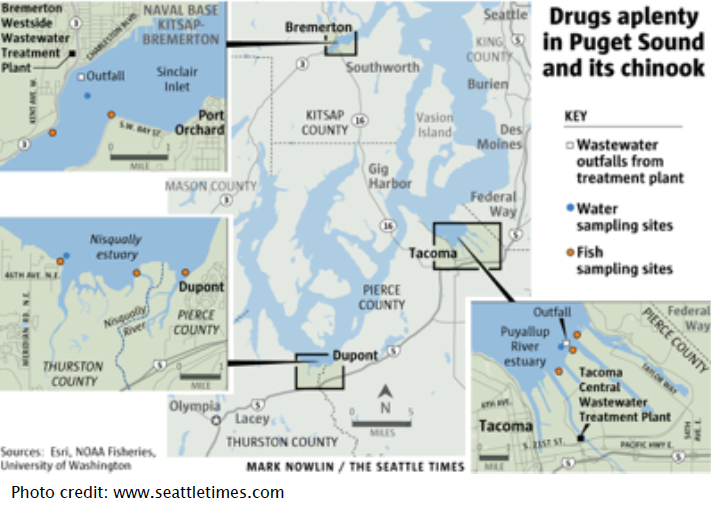 This could be due to varied drug usage throughout the Sound, but even fish in the Nisqually Estuary, selected as a pristine control area, were observed to have contaminated flesh. This suggests that wastewater treatments plants throughout the region are likely are not effective at removing all chemicals from wastewater. future, but without testing and sampling, we will not know.